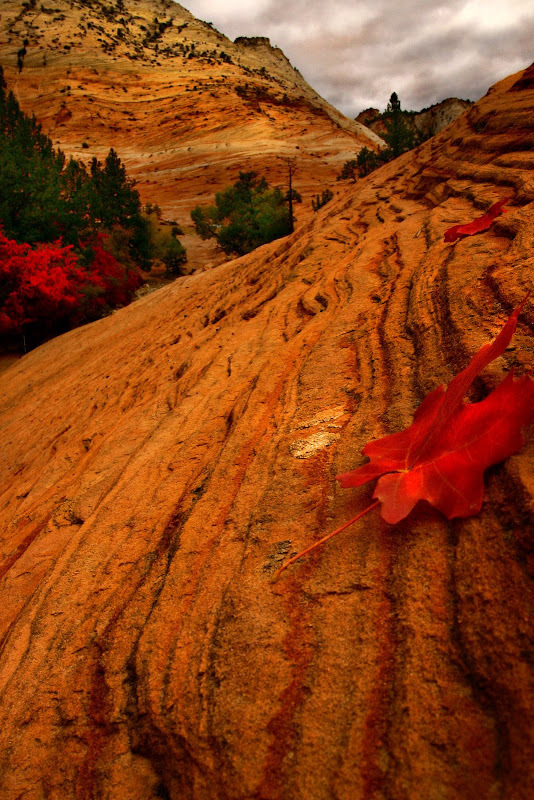 Fall in Zion brings new colors with a dramatic shift in the weather. Blue skies quickly become ominous gray as storms thunder through the park in the space of hours. The leaves change in East Zion before the rest of the park and if you don't pay attention, the brilliant fall colors will pass you by as the landscape quickly changes to gray. 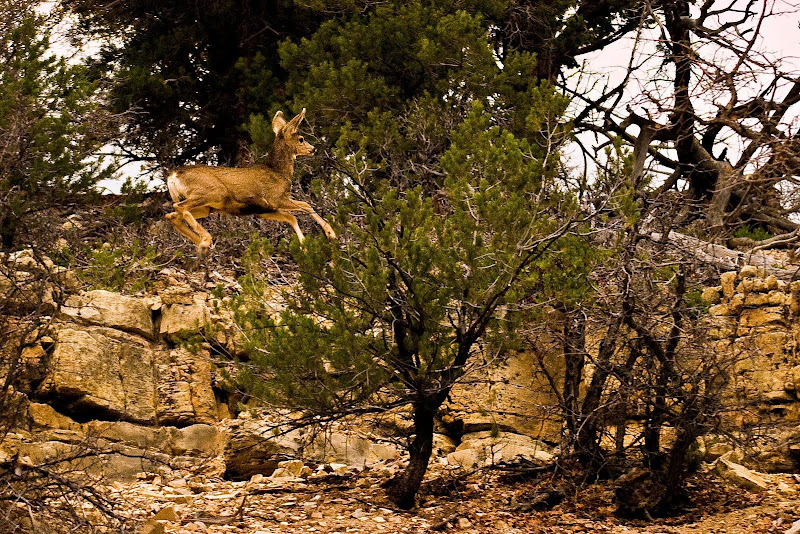 This young doe was startled as I was hiking along a trail on the East Rim.